I actually photographed these on Tuesday April 11 in Central Park and processed them next day. So the title is not totally wrong. One of those lucky shots. 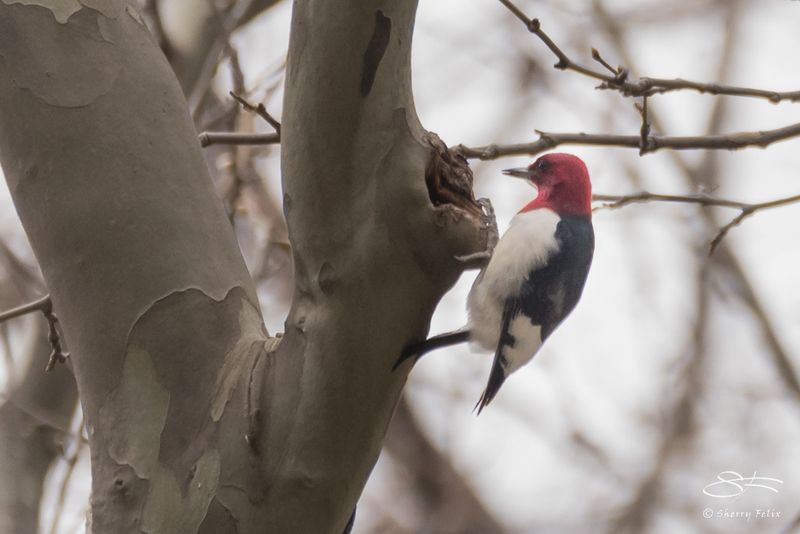 The Red-headed Woodpecker has been there all winter but I was unable to get to that part of the park to see it until now. A terrible bunch of photos of it, but they are mine. This looks like the big lens, Sherry. Lucky shots? I think you have a lot of experience to capture these moments. Stunning results! Superb shots, Sherry! 🙂 Happy Easter! Thanks Tom, same to you. 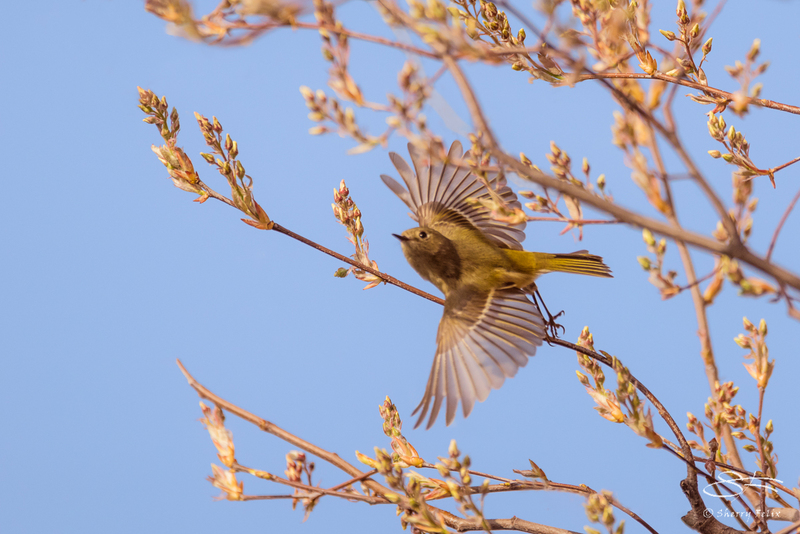 Beautiful shots – that first one of the bird in flight is gorgeous. Thank you very much. I appreciate your dropping by to look. You’re so lucky you get to bird in Central Park. Some day I hope to visit there! Nice photos and variety. It is an unusually hot spot for birds. I don’t get there that often as I have to take a subway to get there. Hope you get to come during migration.